(ALBANY, Ga) The 2019 Albany Marathon brought out more than 1,000 runners Saturday morning. At the starting line on Whitney Street, everyone was feeling the excitement. Including Albany Mayor, Dorothy Hubbard. Entrants for the marathon came to Albany from 42 states, with a few coming from Barbados and the Cayman Islands. The marathon attracts runners from all over because the Albany Marathon is regularly one of the top qualifying races for those looking to run in the Boston Marathon. “We keep getting more and more people in here, to qualify for the other marathons,” says Mayor Hubbard. While not everyone running Saturday is trying to qualify for the Boston Marathon, the still have their reasons for coming to Albany’s. Jessica Minton from Rome, Georgia, ran the marathon on her bike, with only one leg. Minton says, “I just like a challenge, I like to do things that are hard, and it’s what I like. Others, like Jake Rocker and his running club from Atlanta make it a point to come back to Albany. 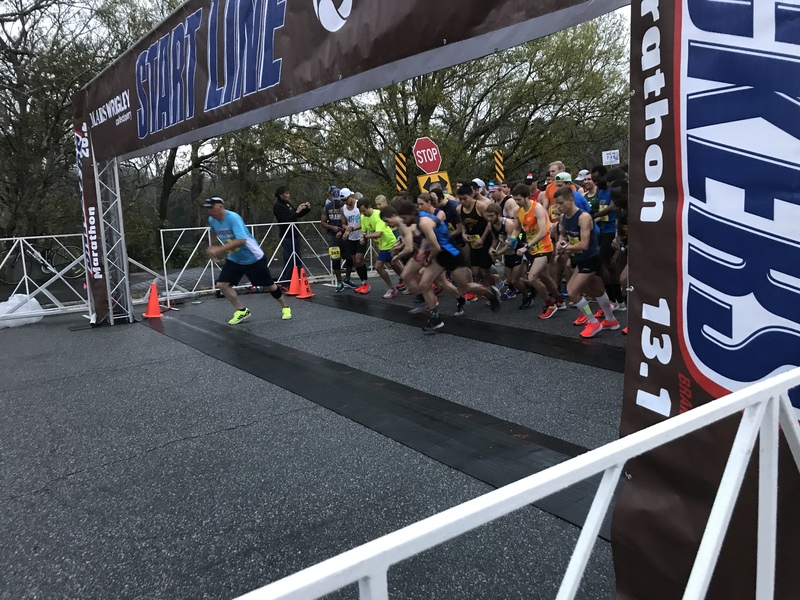 Some, like Jason Tinsley from Buena Vista, Ga, uses events like the Albany Marathon as a means of getting away from life, even for just a few hours. According to the Albany Visitor’s Bureau, the Marathon is expected to bring in more than $600,000 to the city.